Screenplay: Gavin O’Connor, Anthony Tambakis, Cliff Dorfman. Starring: Tom Hardy, Joel Edgerton, Nick Nolte, Frank Grillo, Jennifer Morrison, Kevin Dunn, Maximiliano Hernandez, Kurt Angle, Erik Apple, Gavin O’Connor, Noah Emmerich. 2011 was a good year for movies. Even the ones that tread old ground still achieved their own identity. Just look at the Oscar winning “The Artist“, for harking back to silent films; “Hugo“, for reminding us of the origins and the magic involved in making them; “The Girl With The Dragon Tattoo” remake also found an audience, a mere two years after the Swedish original. This is another, that manages to take an old formula and still make it work. Tommy Conlon (Tom Hardy) returns to his hometown Pittsburgh after serving time as a Marine. When back, he prepares for the world’s biggest mixed martial arts tournament, reconnecting with his father, Paddy (Nick Nolte), who takes up his training. 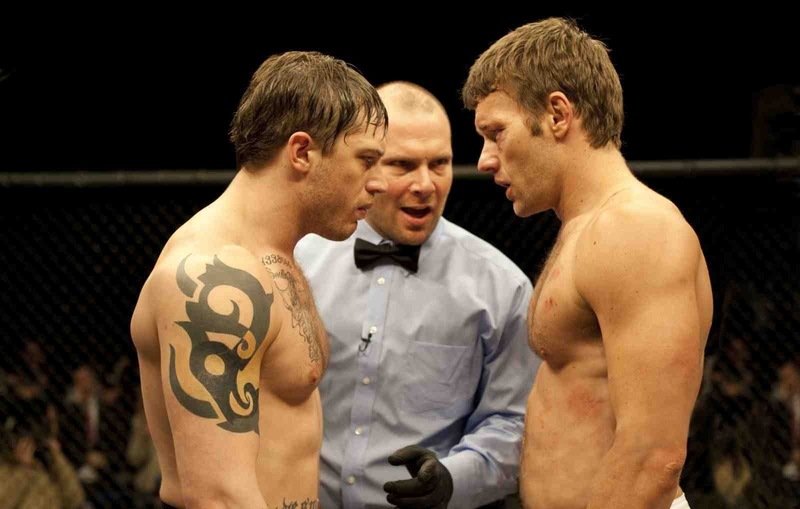 Meanwhile, his estranged brother, Brendan (Joel Edgerton), realises he has to return to his old fighting ways if he has any hope of saving his family from crippling financial debts. This is no basic rags to riches sport flick; there’s personal history to the three main characters. It has the working class background and fighting montages that lead to the obvious comparisons to “Rocky” or more recently “The Fighter“. But even though this is on similar, well worn territory, it’s greatest achievement is in delivering something surprisingly fresh and all it’s own. The two lead performances are excellently delivered by Hardy and Edgerton but it’s Nolte, as their estranged alcoholic father, that really stands out. A great moment, in particular, between the tortured characters of Nolte and Hardy in a diner where the tables turn. As soon as Nolte takes over as trainer, he becomes the patriarch once more. Meanwhile, Edgerton (reminding me of a younger Russell Crowe) combines the family man with ferocious fighting abilities more than competently. The sport itself has rarely been covered on screen. David Mamet touched upon it in 2001 in his impressive film “RedBelt” but that didn’t take much of the fighting into the ring. This does. It has the usual sports flick cliches; the underdog; the montages; the friends and relatives watching at home; the opinionated commentary at ringside. If truth be told though, it’s a winning formula. But where this film succeeds is in it’s human drama. The characters are real and instill a sympathy and sensitivity while building to it’s inevitable conclusion. There are moments that genuinely have you on the edge of your seat and ultimately punching the air with delight. (particularly Edgerton’s fights). Despite the formula and abundance of cliches, this still manages to transcend them and come out a winner. A great sports film that hits all the right buttons. This entry was posted on March 6, 2012 at 7:13 pm and is filed under Drama, Sport with tags 2011. You can follow any responses to this entry through the RSS 2.0 feed. You can leave a response, or trackback from your own site. I was debating on seeing this for a while, but after reading your review I think I will see this sometime. Thanks, and well written post. Cheers Alec. Yeah, I thoroughly enjoyed this, it’s well worth checking out. I’d include it in my top ten of the year. (if I ever getting round to posting it). I know what you mean, I have wanted to post my best of the year too. But I still want to see more movies for the year. I will end up posting it in a few months I imagine. Want to maybe make best of the year, and worst. I’m exactly the same. There’s still at least 5 more films i need to see before I compile my list. It was a great year for the movies I thought. Lots of quality. Another great review. I agree 100% with you. This is a riveting film and one of the top 5 movies of 2011. Loved it. Thanks Fernando. An excellent film. I went into it thinking… surely not? 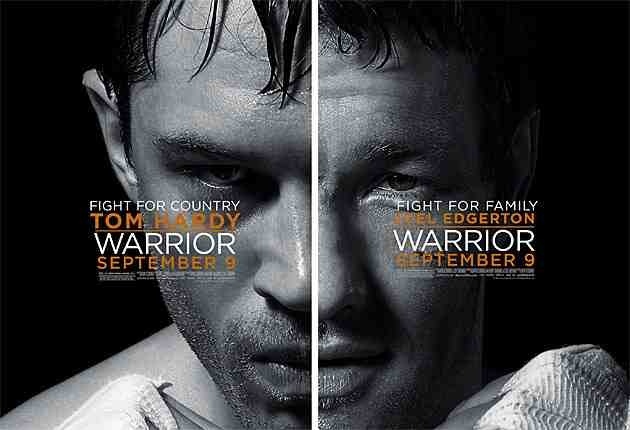 Surely, not another fighting flick so soon after “The Fighter”. But it thoroughly impressed me.